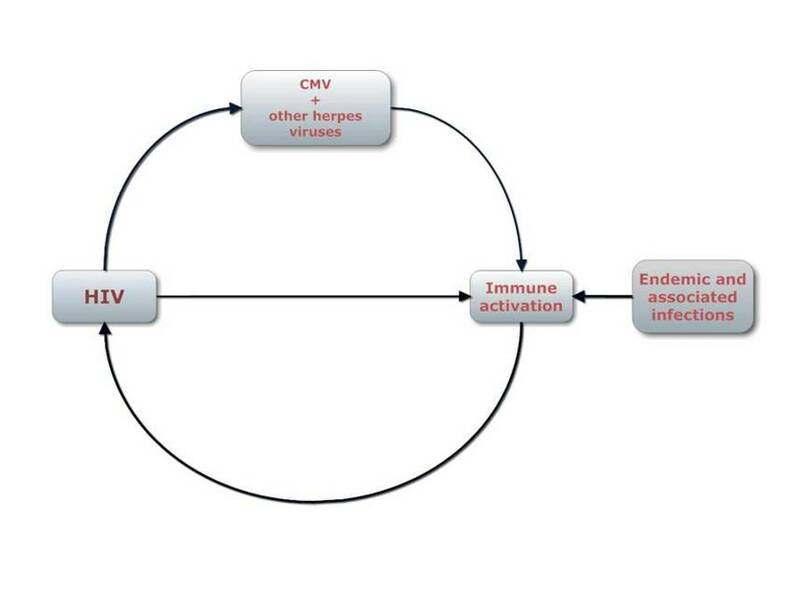 In the above diagram the course of HIV disease is represented by a self perpetuating cycle proceeding in a clockwise direction. In addition to the elements that have positive effects in driving the process, there will also be those that retard the cycle. 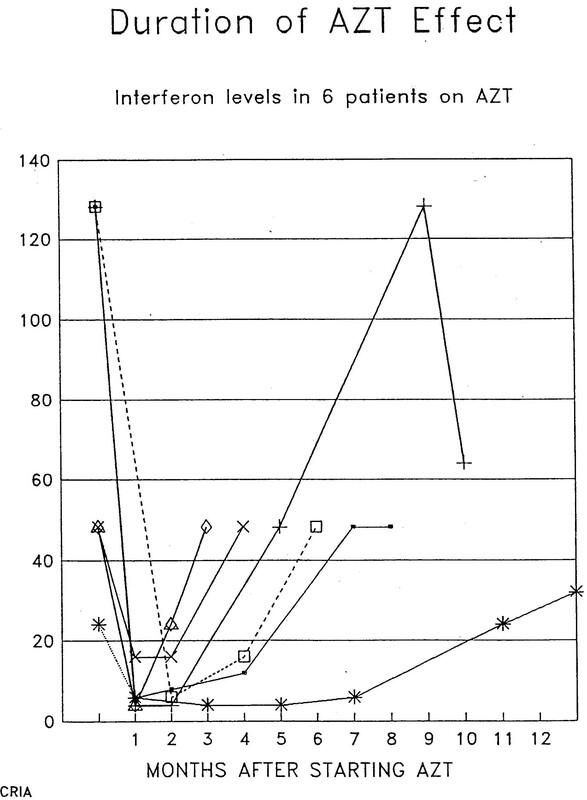 This is illustrated in the next diagram which focuses for simplicity on the immunological control of HIV infection and of those infections that add to immune activation. Of course there are other mitigating factors, for example, genetic factors conferring varying degrees of resistance resulting from receptor polymorphism.